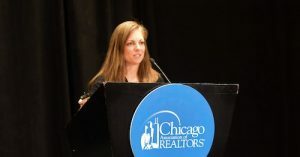 The Chicago Association of Realtors held their 2019 market outlook event this Tuesday, examining a variety of issues that will impact the lives of members in the coming years. The sold-out event examined both economic predictions and how real estate technology can better address the needs and wants of today’s real estate client in the age of Amazon. Tommy Choi, 2019 CAR president and co-founder of Weinberg Choi Realty with Keller Williams Chicago, addressed some of the nervousness attached to discussions around the economy of late. He noted that for most agents, time on market is expanding and contracts are declining. “We’re all waiting for that last roller coaster car to drop: price,” said Choi. Still, in a live poll conducted via text at the event, 54 percent of attendees said they were feeling optimistic about the economic forecast, with 36 percent characterizing themselves as neutral and 10 percent pessimistic. Hale noted that the Chicagoland area is on track with the overall homeownership rate of 65 percent. She also called out the city of Chicago as especially strong with its rate of 64 percent, considering the fact that cities tend to have lower homeownership rates than the overall national average. 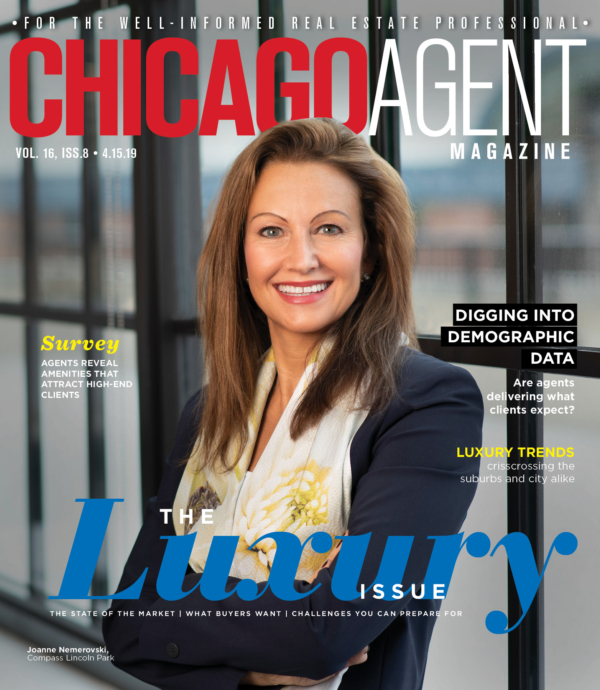 She credited the “relative affordability” of the area for that, as well as the fact that “we do see more younger buyers in the Chicago market” than is typical nationally, a fact she said bodes well for the future strength of the market. Hale said realtor.com’s data also reflected a Chicagoland market that varies wildly. While she noted that price growth is slowing and inventory is increasing in many areas, certain spots are still operating in expansion mode. She said realtor.com’s “hottest markets” for the fourth quarter of 2018 were in Will, Kane and Dupage counties. In terms of markets to watch in the multifamily realm, Svec said downtown will continue to grow but warned of possible oversupply in the coming years in the South Loop and Arlington Heights. Another situation to watch over the next year is the mood of potential real estate customers. The way clients react to the economic news and consumption trends driven by technology impacts the work of real estate agents and brokers alike. As part of a panel moderated by Choi and Phil Byers, a team leader also with Keller Williams Chicago, representatives from the National Association of Realtors, Zillow, and realtor.com weighed in on how changing consumer attitudes are altering the way they serve real estate professionals. Curt Beardsley, vice president of industry relations for Zillow, said they are concentrating on ways to reduce the stress of the home buying and selling processes. He said one way they’re trying to reduce this stress is to make agents easier to reach. Their company takes incoming calls from consumers and matches them with a live agent on the other end who can answer their questions immediately. “If you actually make a one-on-one connection [you have a] significantly higher chance of actually going to a closed transaction,” Beardsley said. But Todd Callow, senior director of product management at realtor.com, expressed concern that some of the new technology meant to help consumers could cut agents out of the deal. “We’re following very carefully what’s been happening in the iBuyer space,” he said. “Our concern is, in that space, does the professional still play a central role?” The company is looking to add more data about potential customers to the information they offer agents, and is also trying to include professionals that are adjacent to the real estate world in their platform.